This chapter investigates the significance of assistive ICT as a tool in young disabled people’s identity negotiations. To analyse the impact of this tool, two different, but closely related, perspectives are used. The first perspective employs the concept of identity multiplicity, and the second uses Actor-Network Theory (ANT). The chapter draws on a qualitative interview study with 23 young disabled Norwegians aged 15-20 years. The analysis elaborates on how using assistive ICT creates new opportunities or represents an obstacle in young disabled people’s identity negotiations in the peer group, and thus on how both disability and identity are flexible, contextual, and relational phenomena produced in specific situations and relations. The chapter’s closing discussion expands on the tension between mainstream technology and assistive technology, and on challenges associated with the allocation of assistive technology. Objects and technologies have become a vitally important aspect of people’s lives in contemporary western societies. As our use of objects and technologies serve to confirm and underline certain values, technology and society have become mutually constitutive (MacKenzie & Wajcman, 2005; Räsänen, 2008). This chapter explores how social anticipations establish an authoritative definition of the symbols associated with Information and Communication Technology (ICT), especially those associated with assistive ICT. Significantly, symbols are meaningful only to the extent that there is a shared belief that a symbol possesses a particular value. Thus, through young people’s shared beliefs about ICT and assistive technologies, their everyday acceptance or rejection of these technologies helps define their identity and social status in the peer group (Dennis & Martin, 2005; Sauder, 2005). To analyse the impact of ICT in young people`s lives two somewhat different, but closely related, perspectives are mobilised. The first perspective employs the concept of identity multiplicity, and the second employs the perceptive of Actor-Network Theory (ANT). The data mobilized in this chapter draws on a phd study with 23 young disabled Norwegians aged 15 – 20 years. 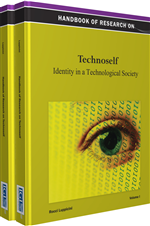 In order to display a desired self-identity, people need to use adequate symbols in ways that are appropriate in the given cultural and historical context (Buckingham, 2006; Hocking, 2000). Using assistive technology is not merely a matter of choosing a technical solution that can help overcome environmental barriers; such a choice also has symbolic implications that can only be understood in relation to the historical and cultural context. Assistive technologies are loaded with associations tied to collective cultural traditions, symbols and values, as well as with subjective feelings and meanings (Ravneberg, 2009; Woods & Watson, 2004). Thus, the adoption or rejection of an assistive technology depends on the meaning assigned to it and the social costs associated with it (Pape, Kim & Weiner, 2002; Söderström & Ytterhus, 2010; Wielandt et al., 2006). Although both ICT and assistive technology are seen as marking the identity of their users, they hold an inherent symbolic contradiction. For whereas ICT symbolizes timely competence, belonging, and independence, assistive technology – still medically defined – symbolizes restriction, difference and dependency (Ravneberg, 2009; Söderström & Ytterhus, 2010; Wielandt et al., 2006). This contradiction makes the combined use of mainstream ICT and assistive ICT particularly interesting in the context of disability studies. The chapter draws on a phd study employing qualitative interviews. The data mobilized in this chapter is a purposeful sample of 23 young disabled persons (11 girls and 12 boys) aged 15-20 years. 12 of the 23 have mobility difficulties (3 girls and 9 boys), and 11 are partially sighted or blind (8 girls and 3 boys). All of the participants had been allocated a personal computer and corresponding assistive ICT from a public assistive technology center, free of charge. In this chapter the data is derived from the blind and partially sighted participants. The main goal of visual assistive technology for computers and mobile phones is to provide the best possible sight-enhancement or sight-substitution mechanism. For partially sighted persons such goals mean magnifying the screen display to perform visual tasks such as reading texts, selecting menus, responding to system prompts, and navigating between different parts of websites. Usually this magnification involves the use of a screen magnifier software application that runs as background task. Such screen magnifiers provide the capability of enlarging text and graphics over a wide range of levels (Chiang et al 2005). Assistive Technology: Assistive technology is any item, piece of equipment, or product system that is used to increase, maintain, or improve functional capabilities of persons with disabilities. Power: Power is having the opportunity to pursue individual goals and possessing the necessary means to achieve these goals. Disability: Disability is a socially constructed phenomenon taking place in interpersonal relationships, through encounters between individuals and environments, and between individuals and society. Identity: Identity holds together two quite distinctive dimensions. On one level it means identification with something collective, cultural and social, and is often ascribed to a person. On the other hand it also denotes a sense of self and a sense of continuity within that self, and is often an individual chosen identity. Actor: An actor is any object, artefact, or person who generates an effect by making a difference.